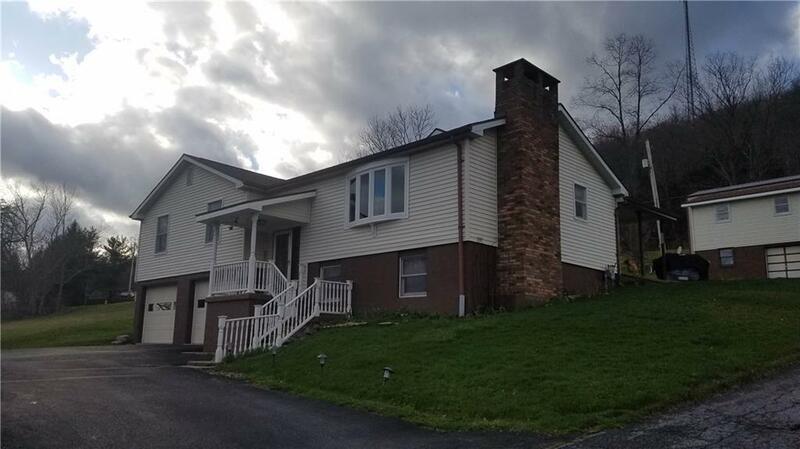 Smethport, PA - Very nice split entry ranch home on a large corner lot. There are 3 bedrooms and 3 full bathrooms that includes a master bedroom with bath. Oak cabinets in the kitchen which is open to the dining area. The large enclosed sun room is next to the kitchen. A very large family room with pellet stove insert, and an extra large 2 car garage are on the lower level. The property includes a medium sized workshop or play building. An 18x40 metal storage building is great to house your boat, ATVs, or other outdoor equipment. All of this on a large corner lot. This is a MUST SEE!